As a mom, many of my reviews are about kid's programs, but I do get to watch "grown-up" TV from time to time. In fact, from September to December my nighttime routine is dedicated to getting everything is taken care of and my daughter in bed before my favorite show, Sons of Anarchy. This review is specifically for the sixth season of FX's best-running TV show ever. 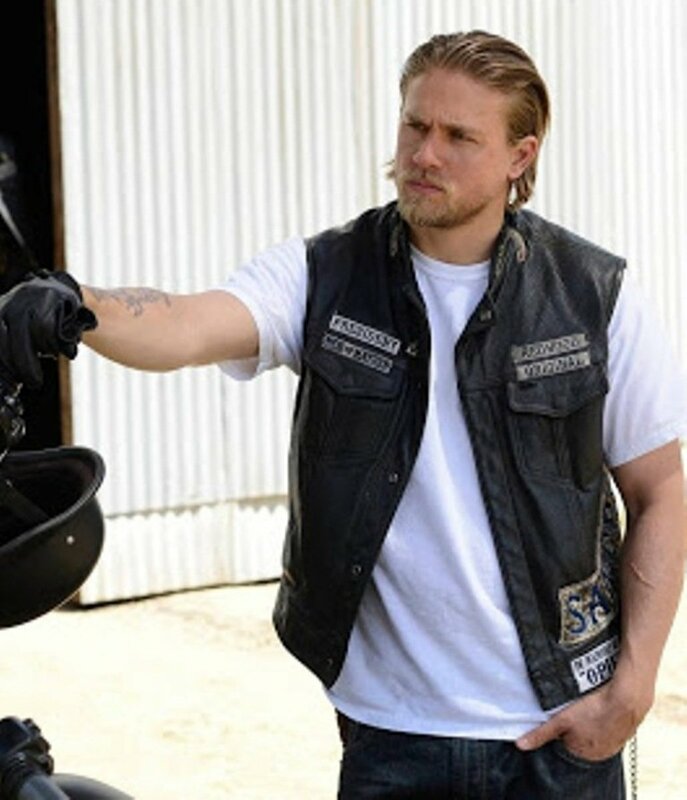 When season 6 began, we found Jax (Charlie Hunnam) struggling to hold his personal and professional life together. His wife, Tara (Maggie Siff) is in jail, and so is his estranged stepfather, Clay (Ron Perlman). Early in the season, the corrupt US Marshall, Lee Toric (Donal Logue), has approached both Tara and Clay with deals, if they turn on the club. Initially, they both refuse, but it is evident that Tara and Clay are both questioning their allegiances to Jax and the club. Bobby (Mark Boone Junior) leaves the club after disagreeing with the way Jax leads the club, and both Chibbs (Tommy Flanagan) and Jax are questioning whether or not Juice (Theo Rossi) belongs in SAMCRO anymore. A clash with the Irish results in SAMCRO having to relocate their clubhouse and relationships begin to crumble as well. As a last resort, Tara reaches out to Wendy (Drea de Matteo) and Dr. Murphy (McNally Sagal) and devises a plan to protect her children in case she has to go to jail. When Gemma (Katy Sagal) learns of this scheme, she fears she will lose her grandchildren forever and wages war on Tara. As the season nears an end, Jax finds his personal and professional life in greater turmoil than when the season began. With no end of trouble in sight, Jax makes a plan to protect Tara, his kids, his business with Nero (Jimmy Smits), and his future. However, Tara makes a plan of her own...one that conflicts with what Jax has already set-up. When the season 6 finale was on, I was nearly on the end of my seat. Through the years, I have learned that I cannot predict what Kurt Sutter, the creator of Sons of Anarchy, is going to do next. The finale began with massive conflicts between main characters including Tara, Jax, Gemma, Nero, Juice, and many others. Unbeknownst to everyone, Jax decides to sacrifice himself to save the club he loves and the woman he loves and adores. However, Gemma, who isn't thinking clearly thanks to a personal conflict, isn't happy about what is happening to Jax. Unfortunately for Tara, when Gemma has a chance encounter with Tara before Gemma has had the opportunity to talk to Jax, it leads to tragedy. Are you Excited for the last Season of Sons of Anarchy? Have you seen this FX show? If so, what do you think? Thanks for the review. I haven't watched because I am never in charge of the remote! Can't wait to watch this, sounds like a great show! @shoputopian: I'm sad to see it end too. I'm hoping that Sutter does create a 1960s prequel. I would love to see it, and I'm anxious to see what Unser does. If he doesn't tell Jax the truth, I think Juice may end up taking the blame for Tara's death and the KG9s too. It's sad that season 7 will be the last one and I'm predicting that Unser will of had enough of Gemma and he'll come clean and tell Jax the truth about Tara. @aesta1: You are very welcome! It really is a great show. Another show to put on my list. Thanks. @SheGetsCreative: I agree, one of my favorite scenes from the sixth season is when Nero is comforting Jax with one hand and clenching his fist with the other. I haven't seen this show (yet). Thank you for an enticing review. One of my favs. I also heard Wendy was going to be a major character - and I predict there's going to be some painful interactions between Nero and Jax in the final season.